Seafood cake or everything bagel doughnut? 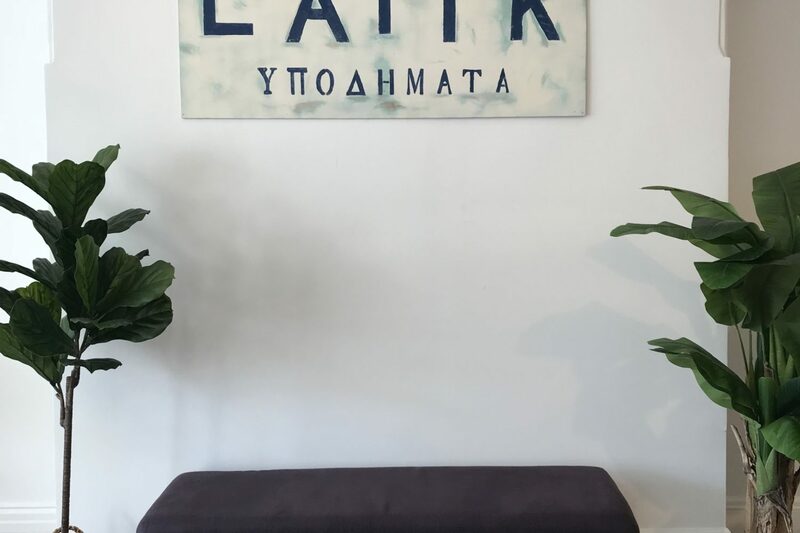 If you’ve never tried malasadas, Portuguese-style doughnuts, this is the place. The plump, slightly chewy rounds are delicious, and come in a mix of sweet and savory flavors. 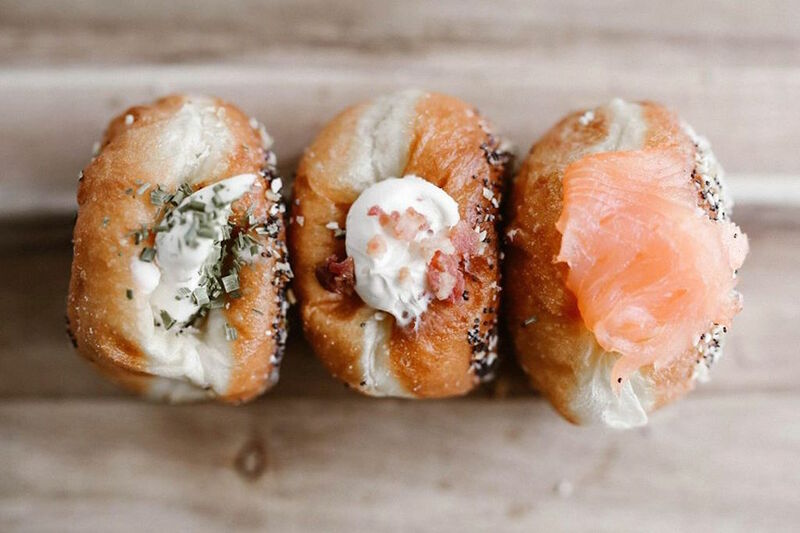 Try versions stuffed with rich vanilla pastry cream, lemon curd, or for breakfast/lunch, an “everything bagel” version filled with chive cream cheese and smoked salmon. 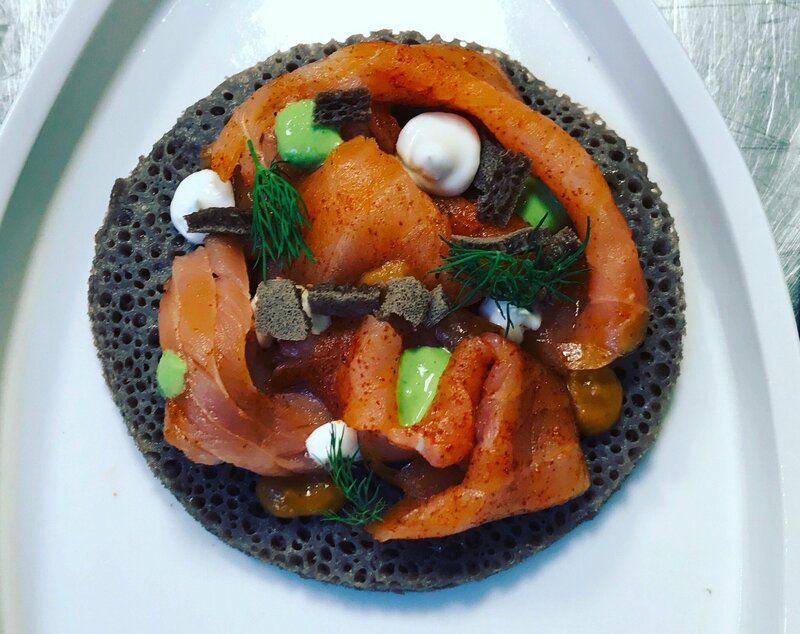 A special of berbere-smoked salmon on injera at Gorsha. Photograph courtesy of Gorsha. Ethiopian fare gets a modern twist from chef Hiyaw Gebreyohannes—think taco-like injera “pockets” stuffed with meat and vegetables, or tuna kitfo (tartare). Diners can also customize bowls with rice, kale, or torn injera as a base, and top them with a variety of meats like berbere chicken or braised lamb, veggies, and lentils. 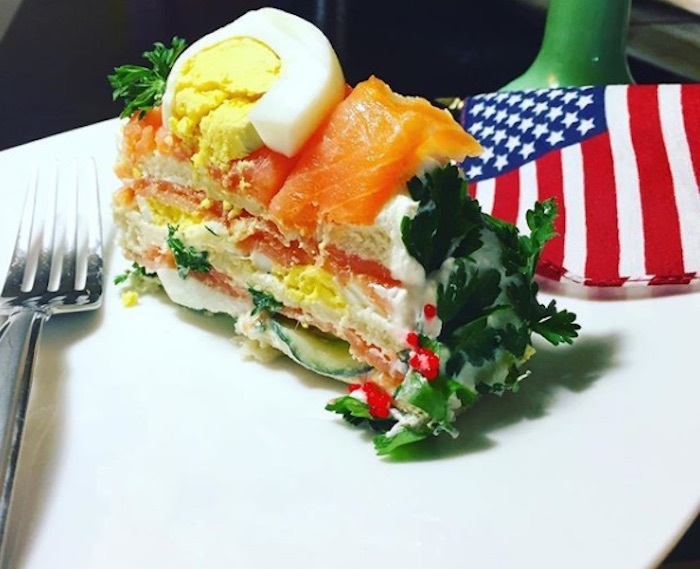 This Scandinavian food stall just opened, and we’re already in love with their seafood cake: tea sandwich-esque layers of crustless white bread, cream cheese, cucumbers, smoked salmon, dill, trout roe, and shrimp. Patrons can also customize bowls with Scandinavian rye bread or rice as a base, proteins like curried fish salad or meatloaf, and a variety of vegetables (including cucumber or beet salad). 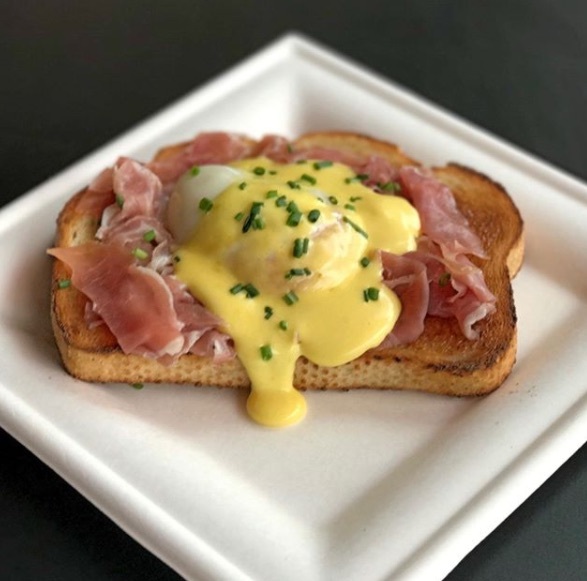 On Toast dishes up fancy toast, like this Benedict with prosciutto. Photograph via Instagram. District Fishwife owners Fiona Lewis and Ben Friedman get into the fancy toast game at their new stall. There’s avocado toast (of course), which comes with tangy feta, za’atar, and a runny egg. Fans of their seafood stall can try the Lyon Bakery breads topped with smoked salmon and caper salsa or shrimp. For dessert (and kids): a cinnamon-sugar variety. 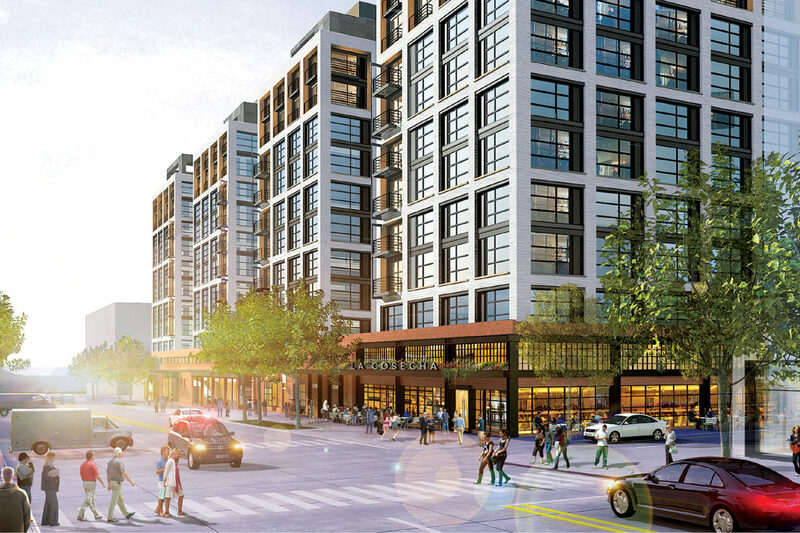 August is the last month to check out Erik Bruner-Yang’s Asian market and food stall inside Union Market, which wraps up a three-year run in September. 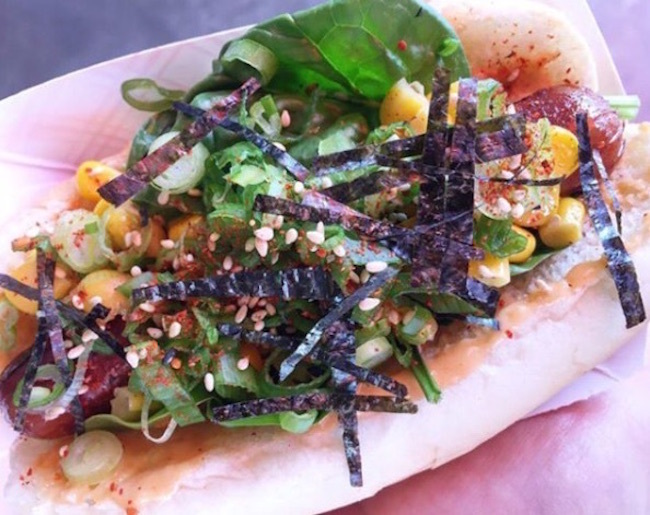 Right now a new summer menu includes dishes like cold ramen, tsukemen (dipping noodles), and either meat or tofu “ramen dogs” infused with ramen broth and topped with a soup-like mix of corn, nori, and scallions. In August, chef Hiro Mitsui will pop-up at the shop with Conbini Cafe by UZU, which previously served Japanese comfort fare like okonomiyaki out of Shopkeepers on H Street.